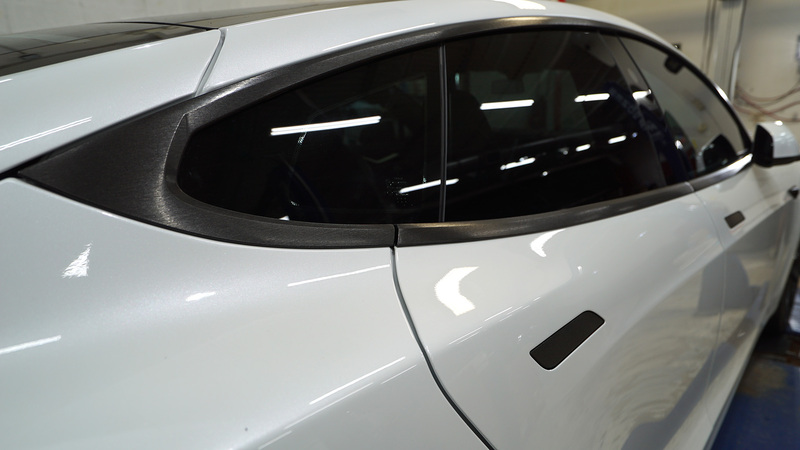 Different Vinyl Wrap - Chrome Delete - EVS Motors Inc. This week we did a different vinyl wrap for one of our clients. He wanted to steer away from the basic gloss or matte black chrome deletes and picked something just as subtle but more classy. 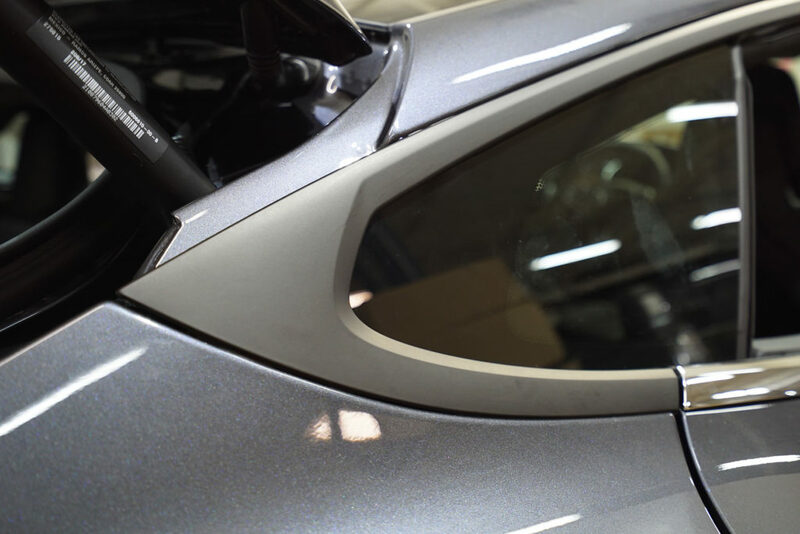 This shows you that small changes can really make your car stand out. With vinyl you have plenty of options when it comes to color for your chrome delete. But for the most part, it is very rare for people to pick an actual color to wrap the chrome. Clients mostly go with a black vinyl that was matte, satin or gloss. In the end it is up to you what vinyl you would prefer. 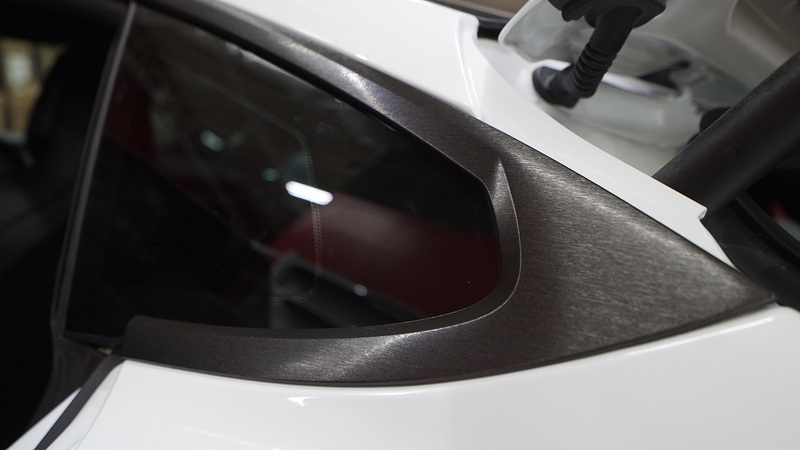 We do recommend to go with a matte or satin vinyl on black vehicles to create depth. 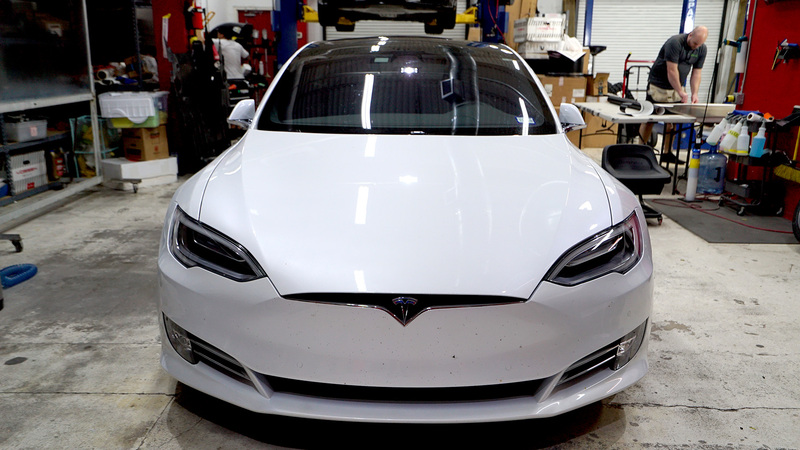 A lot of Tesla clients decide to modify the appearance of their vehicle to make it stand out a little bit from the rest. This client wanted to steer away from the standard wraps and picked a brushed black. 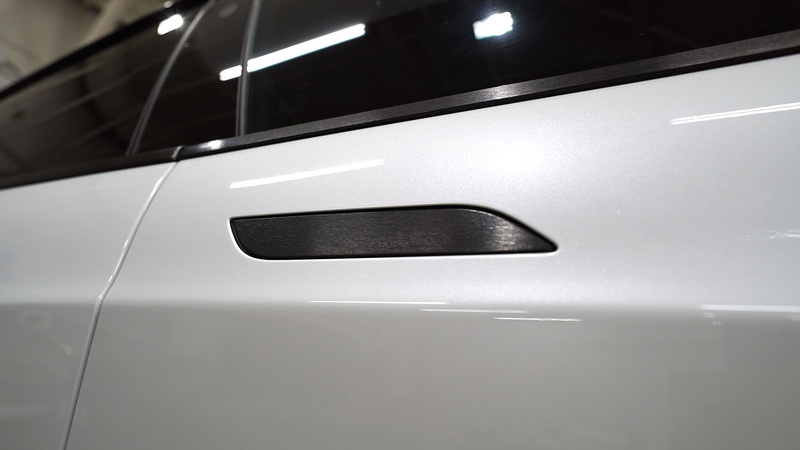 Below you can see a picture of the brushed black vinyl in comparison to standard matte. We wrap the window trims, the trim and T logo on the front bumper, the mirrors and the trim on the trunk. 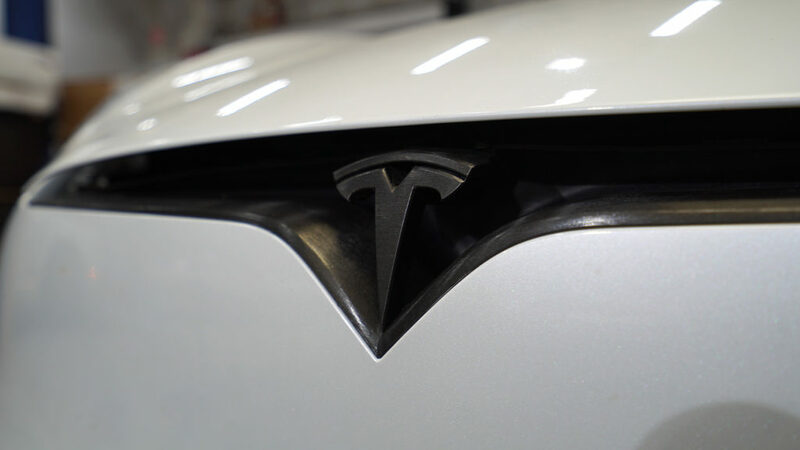 For delicate work like the TESLA letters on the back trim and emblems we recommend to get them painted. That option will be more durable and long lasting. 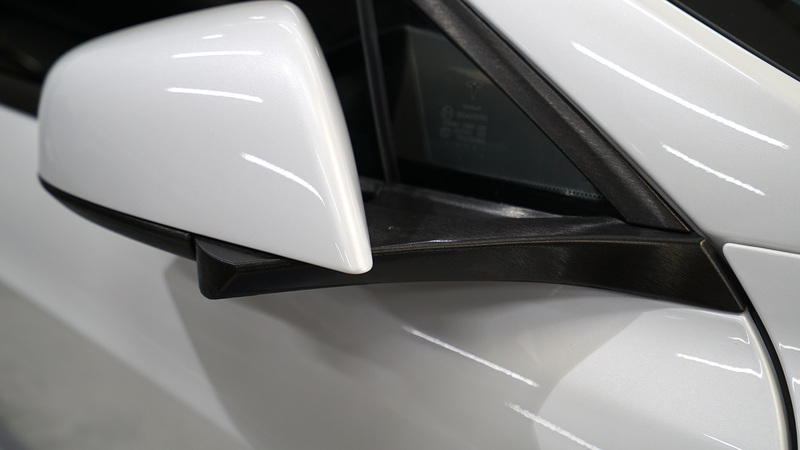 If you prefer a more durable chrome delete, we also offer to paint all trims. Contact our studio to find out more information and to get custom prices for your specific vehicle. 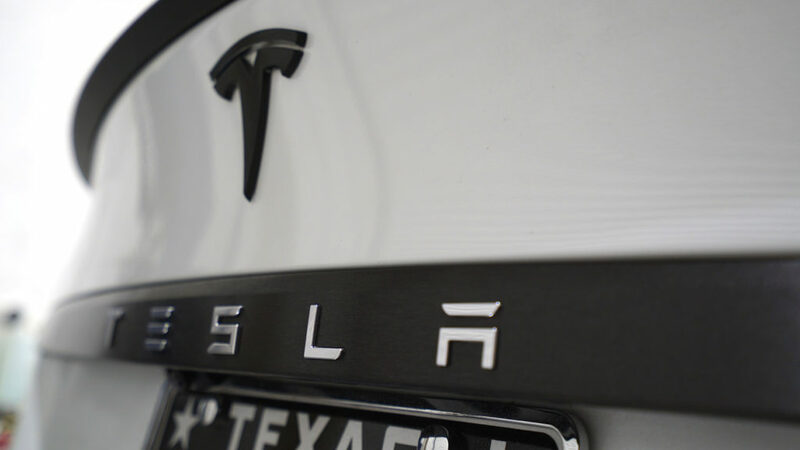 I will attach a few pictures below of the Tesla Model S with the brushed black vinyl chrome delete. This gives you an idea of areas that are being covered and how they might look on your vehicle.